Avante-garde artist Hayden Sison will unveil his latest collection of masterpieces inspired by the leading political figures in the country today at an exhibit dubbed as, “Adventures in Digongland (More High Fructose Corn Syrup)" to be held at the SM Art Center in Megamall from January 3 to 14, 2017. 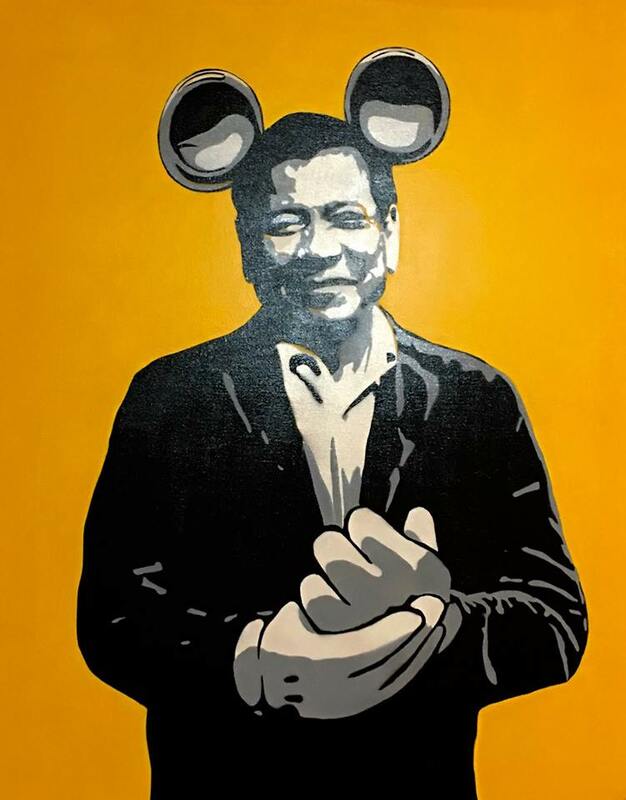 Some of the artworks to be showcased in the exhibit will feature his interpretations of President Rodrigo R. Duterte. “My latest collection is inspired by events and personalities from the last presidential elections leading to the first 100 days of President Duterte. It is about the here and now and the mystery and suspense that comes with it. 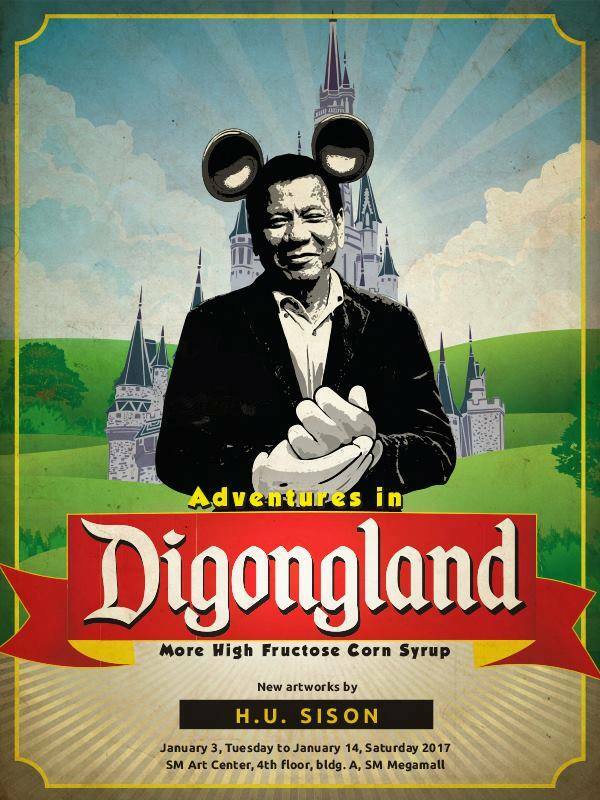 We can only guess what's going to happen tomorrow in ‘Digongland’,” said Sison, who has been vocal about his admiration of President Duterte even prior to the election. 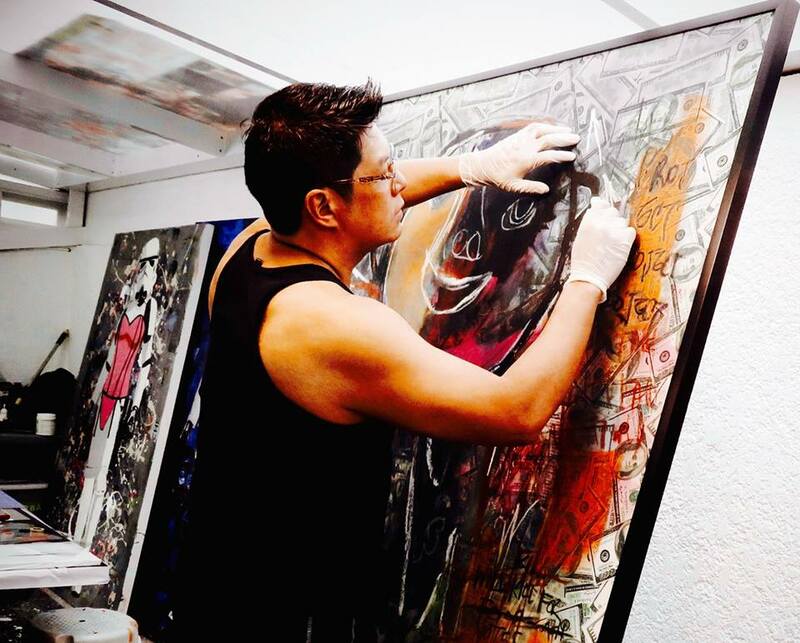 For this fast-rising visual artist, his recent exhibit offers “art that is created from within but inspired by what is without.“ He experiments with various media to bring out a “sense of fun, play and freedom” while trying to derive meaning from the characters in the frontline of governance. “I work with oil paint sticks, oil pastel, acrylic paint, graphite pencils and pretty much any stuff I can get my hands on when I'm working. I work intuitively, often without sketching, based on ideas I collect in my head. I don't use pencils. Often it's straight into paint or ink. I like the no-backing-out feel to capture my muse. I like the randomness and the way the images work it's way into the final piece. It creates a lot of mood and tension,” he said. Sison is known for art that reflects dark humor, satire or double meanings. However, this is the first time his artistic mischief will focus on politics or political commentary. “Adventures in Digongland (More High Fructose Corn Syrup)" will have a private and exclusive artist’s reception for friends of the artist, collectors, patrons and the media on January 7, 5pm. For those interested to attend, kindly contact the artist at +63.917.7008251 to be included in the guest list.